On this page are sets more than 50 years old, which is considered vintage. I do not have many sets from this era because they are scarce and buying vintage items usually involves spending lots of my hard earned money. 7 light Sylvania fluorescent Christmas light set. Technically the bulbs are cold cathode fluorescent lamps, which means they have no filaments as typical fluorescent tubes do. The bulbs appear white when unlit due to a phosphor coating inside which glows when the inert gas inside is energized. 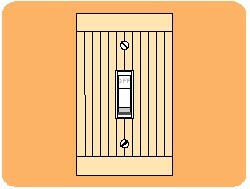 For more information, see U.S. patent #2,421,571 granted June 03, 1947 to William E. Leyshon. 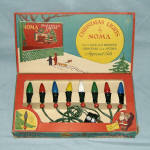 8 light NOMA C-6 Christmas light set. The box opens up like a book to show the light set within. This item is worth more because it includes the original box and is in working condition. The bulbs are of more recent vintage, though. Paramount 7 light C-7 set model 1000 with General Electric Mazda lamps, late 1930s to 1945. The set is in excellent condition with the original flat finish bulbs. A 7 light C-7 string by Gilbert manufacturing, from the Bakelite era. Some collectors mistakenly believe that these sets were made by the A. C. Gilbert company, which was famous for creating the erector set. 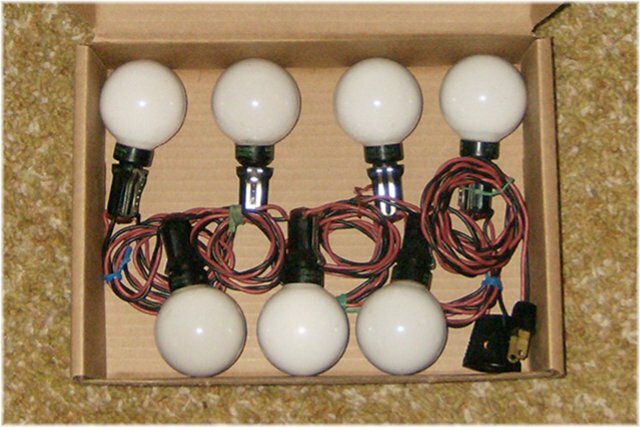 This set has bulbs from the 1960s, with 3 G.E. glow bright bulbs, 3 G. E. Satin glo bulbs, and a rare pink Westinghouse bulb. 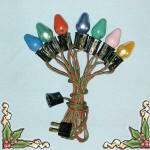 Here are two series wired C-6 sets shown lighted. One string has vintage bulbs and the other has modern reproductions. The next page goes back to reflector sets.